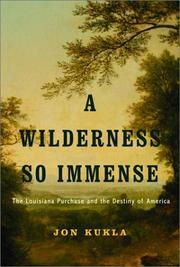 Lively account of America’s first giant step toward empire. The American settlement of the trans-Appalachian West had already begun when Thomas Jefferson went off to Paris in 1786, writes Kukla (Director/Patrick Henry Memorial Foundation), as land-hungry immigrants from the British Isles poured over the frontier into lands claimed by Spain and, following the rise of Napoleon, by France. Some of those newcomers weren’t above a little treason to secure their fortunes under the Spanish crown; throughout the US, secessionist movements and rebellions against federal authority were flourishing, and Jefferson had every reason to worry about the emergence of rival confederations set up by Americans as much as he did the intransigent British and other European powers on the frontier. To contain all these ambitions required an ever-expanding empire, Jefferson recognized—but, he warned, “we should take care to not . . . press too soon on the Spaniards. Those countries [of the West] cannot be in better hands. My fear is that they are too feeble to hold them till our population can be sufficiently advance to gain it from them piece by piece.” While Jefferson and company’s intensive negotiations with the Spanish and French governments over nearly two decades form the heart of this thoroughly detailed account, Kukla lifts his eyes above the conference table to show how accidents of history hastened the acquisition of the Louisiana territory along—notably a slave rebellion in Haiti that kept much of the overseas French army pinned down and thus thwarted Napoleon’s “dream of a revived empire” in North America, but also the strange indifference of Congress, which might have stopped Jefferson in his tracks had its members worried too much about the constitutionality of the purchase. A worthy additional contribution to the burgeoning literature, timed for the bicentennial of Mr. Jefferson’s vast acquisition.